The Cocktail Club opened in Charleston, during the summer of 2011, and Jasmine Beck worked on creating The Double Standard. 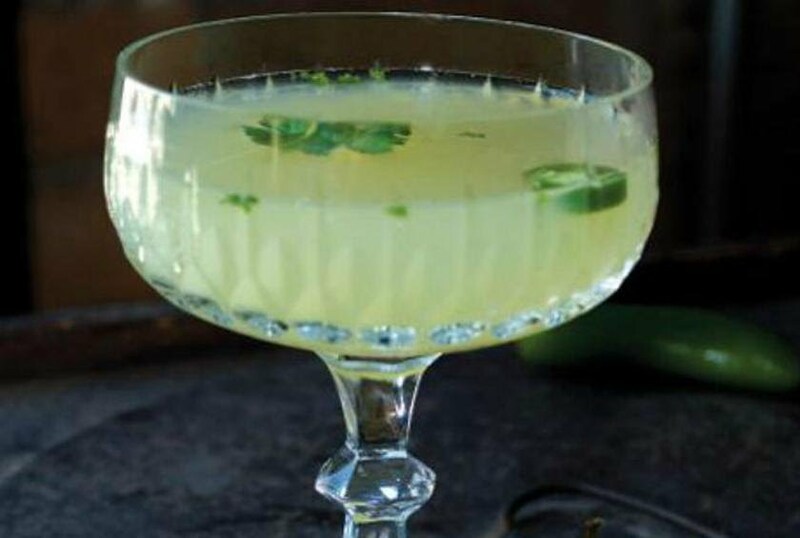 It’s made with cucumber-infused vodka and Serrano-infused gin, and there’s celery bitters, lime juice and cilantro. The vodka gives it a cool, refreshing taste, while you also get the spiciness of the heat from the Serrano. It’s cool up front and spicy on the back. Not unlike Jasmine herself. Combine all ingredients into a shaker tin. Shake well over ice. Serve up in a chilled coupe glass. Garnish with cilantro leaf and a slice of serrano pepper.